When people come to Key West they are certainly going to want to do some things on the water. Now with this tour people will get the chance to go on the water and see some wildlife up close. Now the Captain will take his boat; Tiger Cat out out on the water. He will also be the one to instruct his tourist as to what to expect when it comes to the wildlife that they will see. Now as they reach the spot that the Captain wants to get too, then they will be able to see some animals that they would never see up close. Some of the animals that they will see, will include sharks, dolphins, turtles, and barracudas to name a few. People are really interested in sharks which can be seen by how many people watch shows like shark week. Now the Captain will use bait to draw the sharks in close to the people on his boat. 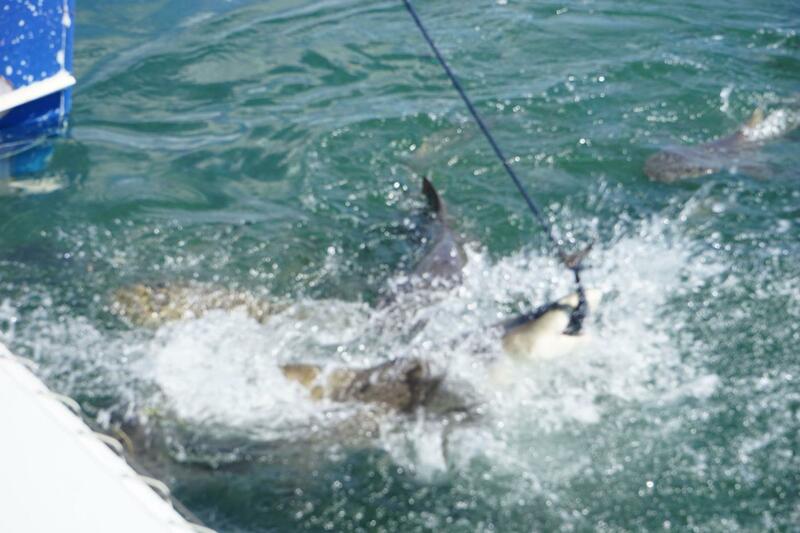 Some of the sharks they will see include bull sharks, hammerhead sharks and black tip sharks. Now this is truly something that people will never forget and this is a once in a lifetime chance to see some amazing creatures. While people are on this trip they will also have the chance to get some amazing pictures and videos of these magnificent creatures. While on the ship, they will also have some snacks and beverages to enjoy while on their way to the shark spot the Captain is taking them too. After check-in, board your catamaran, Tiger Cat, which uses a Power-Pole system instead of traditional anchors to secure the boat and protect the sea grass and coral bottom. Travel through shallow water close to mangrove islands as you make your way about 4 miles (6.4 km) away from shore to the shark viewing site. Along the way, keep your eyes open for dolphin, sea turtles, stingrays, barracudas, tarpon and an array of native birds. Listen to your experienced pilot discuss the delicate ecosystem of this area and its abundance of wildlife. Enjoy complimentary water, soda, juice and chips — as well as the use of polarized sunglasses — during your trip. When you arrive at the shark destination, get ready for an unforgettable experience! 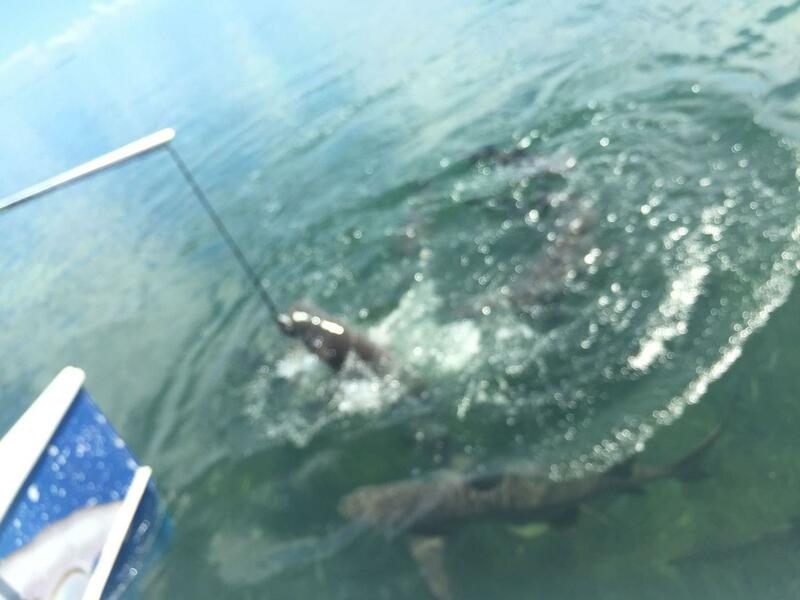 Your pilot will use bait to draw a host of sharks that swim right up to the boat so you and your family can observe them in safety and comfort. See numerous lemon and nurse sharks, and watch out for bull, black tip and hammerhead sharks during nearly one hour of shark viewing. Capture dramatic photos you can't wait to share with family and friends.